Left brain, right brain, pug brain. 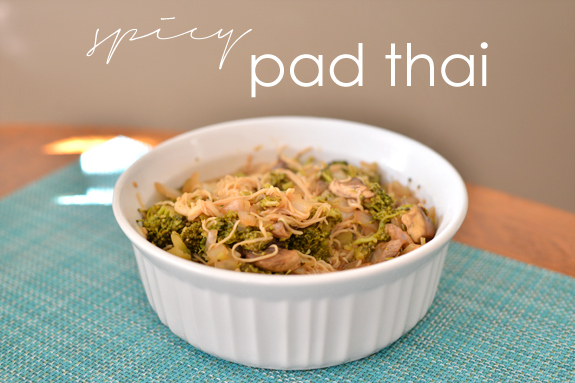 : Spicy pad thai. 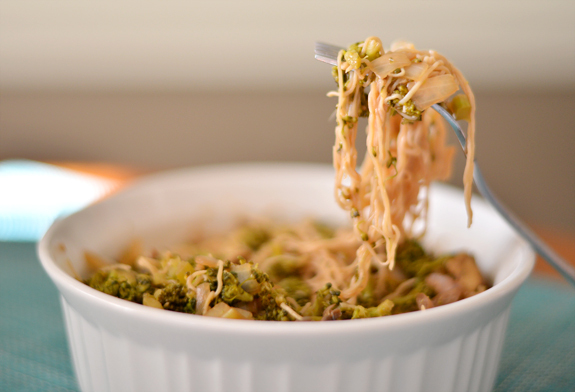 Remove noodles from their bags and rinse them thoroughly. Let them sit in a bowl of warm water for two minutes, then rinse again and lay on a paper towel to dry completely. 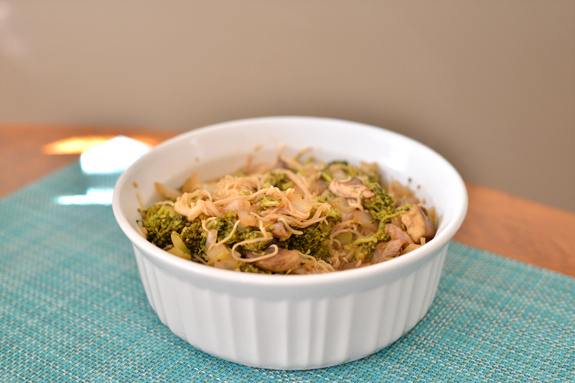 Steam the broccoli and mushrooms. In the meantime, you can mix all of the sauce ingredients and microwave for 30-60 seconds. Lightly spray a large pan with cooking spray. Add garlic and onions and turn on medium heat for a few minutes. 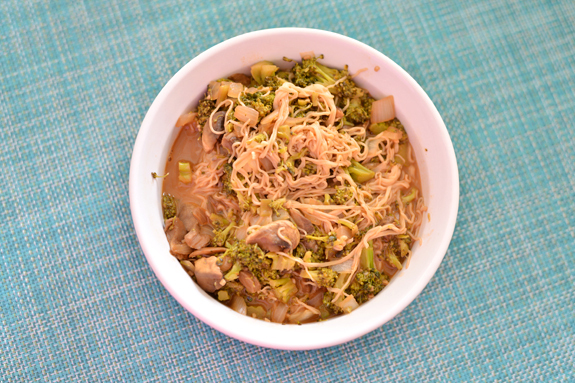 Add broccoli, mushrooms and half of the sauce mixture. Stir well. Next, add your noodles and the remaining sauce. Stir well and allow to simmer for a bit, then serve and enjoy! Serves 4 at 135 calories per serving.